If you’re looking for an utterly charming (and affordable) way to introduce your little one to the magic of solar power, then Litogami is the way to go. Litogami offers a wide range of beautiful and tiny toy houses and solar automobiles you build from scratch via a kit, then power them up. Litogami products are perfect as a stand alone decor item, toy addition to a play city or block set or can even be used as a creative nightlight in the nursery! 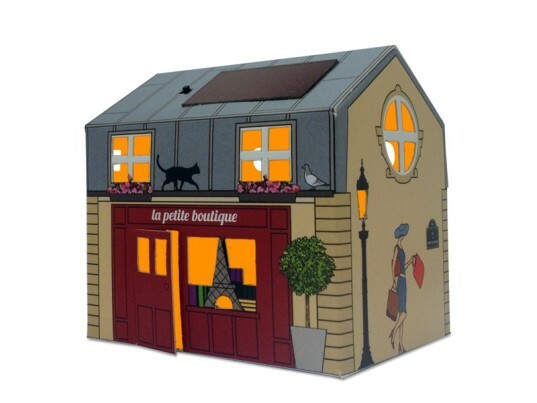 Litogami solar kits are made of recycled or PEFC/FSC cardboard that’s 100% recyclable at the end of its life, plus these little kits are easy to build and decorate as you wish. The “solar-led module” enables the whole family to experiment with solar energy and to light the little house. To fill your house or car with light, simply place your built kit on the windowsill to charge the battery. Five hours of charging in sunlight results in five hours of lighting, and the solar capabilities automatically switch off when exposed to sunlight. Litogami works hard to maintain eco-ethics and practices. The company seeks “to respect the principles of a fair and responsible economy in order to educate the young, like their parents, on the values ? ?of sustainable development.” All products are designed locally in France and have a low carbon footprint due to a low weight (less than 50 grams) and are delivered flat to reduce their carbon cost. The company also employs individuals with special needs for packaging and expedition and the products use green energy via their low consumption LED lights. Each Litogami kit includes an exclusive “solar-LED adhesive module” plus the precut and pre-folded sheet of Kraft paper that makes up their paper house or car. There’s no glue needed for assembly and you can choose from basic houses, the buildings of France collection, the houses around the world series or one of their adorable solar powered cars. The price point on these lovely houses and cars is low – starting at just $8, so any green family can afford to build an entire solar village if they wish. If you're looking for an utterly charming (and affordable) way to introduce your little one to the magic of solar power, then Litogami is the way to go. Litogami offers a wide range of beautiful and tiny toy houses and solar automobiles you build from scratch via a kit, then power them up. Litogami products are perfect as a stand alone decor item, toy addition to a play city or block set or can even be used as a creative nightlight in the nursery! 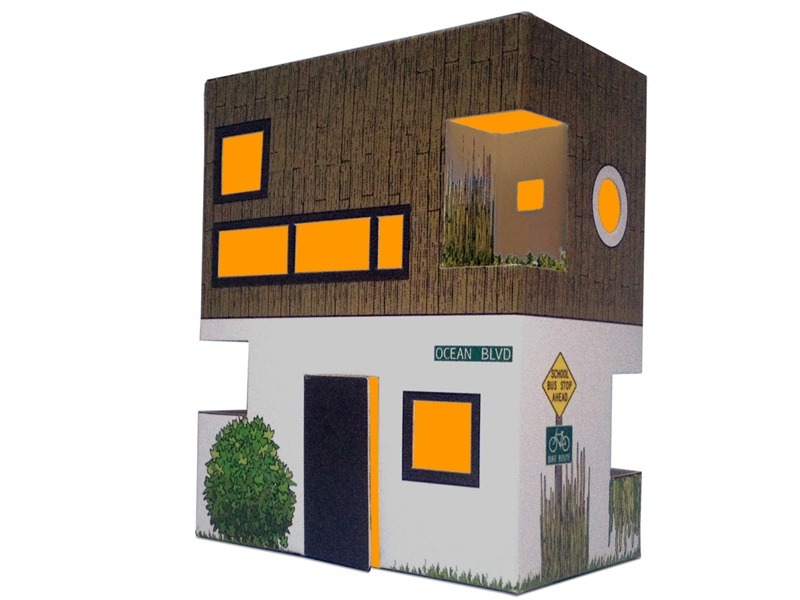 Litogami solar kits are made of recycled or PEFC/FSC cardboard that's 100% recyclable at the end of its life, plus these little kits are easy to build and decorate as you wish. The "solar-led module" enables the whole family to experiment with solar energy and to light the little house. To fill your house or car with light, simply place your built kit on the windowsill to charge the battery. Five hours of charging in sunlight results in five hours of lighting, and the solar capabilities automatically switch off when exposed to sunlight.